NCBA CLUSA works to create opportunities that advance the shared interests of the cooperative community. Our members benefit from substantial discounts on our learning events and unlimited access to our webinar archives. 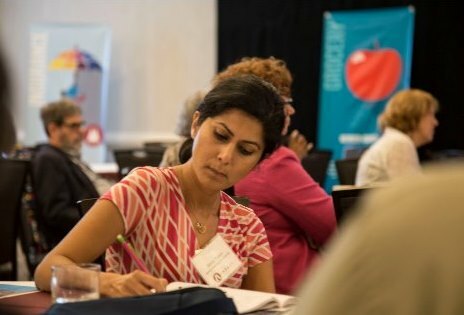 Our annual Co-op IMPACT Conference—the only national cross-sector cooperative conference—is a pivotal opportunity to build on and amplify the economic impact co-ops have in the U.S. and globally. For more than a century, NCBA CLUSA has worked to advance, promote and defend the cooperative business model. There are now an estimated 65,000 cooperative establishments in the U.S., each contributing to a stronger economy by investing in people and their communities. NCBA CLUSA is proud to represent you, your cooperative and this movement at the national level. We believe co-ops thrive at the intersection of developers, financiers, policymakers, legal professionals and thought leaders. Our annual Co-op IMPACT Conference brings these stakeholders together foster the research and data needed to quantify co-op economic impact, influence public policy and amplify the cooperative advantage. With topics ranging from business development and best practices to advocacy and cooperative finance, our webinars represent the diversity and collective knowledge of the communities we represent. Prepare for Impact: Is eCommerce Right for Your Co-op?